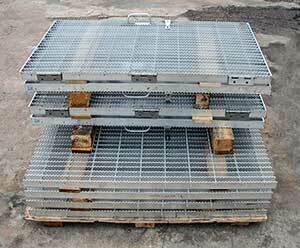 Marco Specialty Steel provides all of our metal grating materials in a wide variety of grades and specifications. 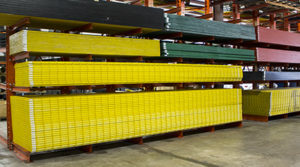 Our expansive inventory includes a wide selection of “off the shelf” items in Carbon Steel, Stainless Steel, Aluminum, Galvanized, and Nickel Alloys. However, our strength lies in our ability to provide not just the standard, but the non-standard specialty steels. We regularly supply custom manufactured and fabricated products for our customers in a wide variety of heat and corrosion resistant stainless steel and nickel alloys such as 321 stainless, 347 stainless, Monel 400 and Inconel 600. Whatever your requirement, give Marco Specialty Steel a call today and talk to one of our technical sales representatives. Stainless steel, also known as corrosion-resistant steel, is an iron-based steel alloy, containing minimum 11% chromium. Another advantage of stainless steel is that it is resistant to fire and heat since it can retain strength at high temperatures. The look of stainless steel is aesthetically appealing, making it a commonly used material. Stainless steel can be easily fabricated, cut, and welded. Click the links below to find out more. Nickel and nickel alloys are non-ferrous metals with high strength and toughness, excellent corrosion resistance, and superior elevated temperature properties. Since nickel is less likely to expand when faced with high levels of heat applications, it is best used in high-temperature environments. Nickel alloys hold valuable engineering properties and uses making them a great investment for use in almost any project. Click the links below to find out more. Aluminum is the second most commonly used material, right behind steel. Aluminum is often referred to as a “light metal” and has a very high level of strength. It is used overwhelmingly in the aerospace and transportation industries due to its low density. The oil, chemical, and food industries commonly use aluminum metals due to the resistance to corrosion. Click the links below to find out more. Galvanized steel, also known as hot rolled steel, has been zinc coated to protect against corrosive agents. The process involves an application of protective zinc coating, which provides the benefits of lower maintenance resulting in lower long-term costs. The protective coating is the lowest of all other steel protective coating options. Click the links below to find out more. Carbon steel is also known as plain steel. It comes in 4 types; Low Carbon, Medium Carbon, High Carbon and Very High Carbon. Carbon steel is economical, has high strength and can be welded but will rust in certain conditions. 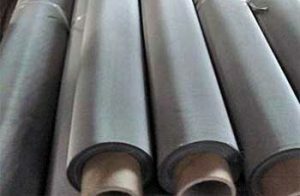 Due to its shock resistance, carbon steel is commonly used in the construction industry and especially piping. Thanks to its ability to be cut very thin, carbon steel is a very cost-effective option. Click the links below to find out more. 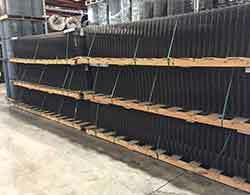 If you are in need of a good grating material but didn’t find what you are looking for above, in our metal materials, maybe you should check out our fiberglass material. 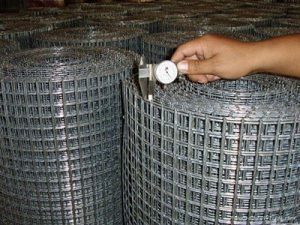 FRP grating is a good alternative to metals due to its non-rusting, non-conductive, corrosive resistance and strength to weight ratio. Marco stocks and fabricates molded and pultruded fiberglass grating, stair treads and handrail systems. Discover for yourself why so many companies have made Marco Specialty Steel their one-stop source for all their metal material needs. Contact us to learn more about Marco’s product offerings today.